Hotel rooms of different categories have been blocked by Congress Secretariat for ICTAM 2012 participants. Hotel reservation deadline is set on 1 JUNE 2012. But we strongly recommend you to make hotel reservation as early as possible due to the limited number of rooms in each hotel. Reservation will be confirmed on a first-come-first-serve basis. Upon receiving Conference Secretariat’s confirmation email or fax, send the full room payment to Congress Secretariat online or by bank transfer. Reconfirmation letter will be sent to you after your room payments reaching Congress Secretariat’s account. The rooms as reserved shall be made available for occupancy after 14:00 on the day of arrival. Should guests wish to occupy the room before 14:00, placing a reservation a night prior to the arrival date is recommended. All guests will need to complete the necessary credit procedures upon hotel check-in by means of cash or major credit cards for any incidental charges during the stay. An individual account of each guest will be established by the hotel in each individual name. All incidental charges will be billed to the account and payable by such guests upon check-out. The official check-out time is 12:00 noon. Late check-out can be arranged till 18:00 chargeable at 50% of the room rate quoted. Check-out after 18:00 is subject to an one-night room rate charge. All late check-out requests are subject to availability. Room rates refund, if any, will be proceeded within 30 days after the completion of the conference. You could make the payment by Credit Card (Visa or Master) or Bank Transfer. If you choose Bank Transfer to pay your fees, the following is the account information. Note: Any fee charged by the bank for your bank transfer shall be paid by the payer. To help us with registering your payment correctly under your name, please do write ICTAM2012 and YOUR FULL NAME in the bank transfer statement and fax the copy of bank receipt to us fax at: (86-10) 65222901 or 65222902. For Chinese participants, please make the payment by bank transfer following the account information (in Chinese). There are a number of hotels of different categories, close to the Congress venue, CNCC. Recommended hotels are shown bellow. Special rates for Congress attendees will be available online in early 2012. Participants should make their own reservations on the Congress website. *The above room rates are inclusive of 15% service charge and tax. Single room rate is inclusive of one daily breakfast; double room rate is inclusive of two daily breakfasts. 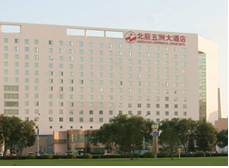 China National Convention Center (CNCC) Grand Hotel, located in the center of the Beijing Olympic Green, and adjacent to China National Convention Center is a brand new deluxe international standard hotel. With the help of sky bridge between the hotel and CNCC convention center, it takes only 3 minutes to walk to the center. Notification to CITS Head Office in writing before 1 June 2012, no penalty charge will be applied to any reduced room night and cancellation. Notification to CITS Head Office in writing between 1 June 2012 and 15 July 2012, no penalty charge will be applied to any reduced room night while a penalty charge of 50% of full room rates based on the last confirmed reservation will be applied to any cancellation. Notification of any reduced room night and cancellation to CITS Head Office in writing after 15 July 2012, full room rates based on the last confirmed reservation have to be paid. If no show, full room rates based on the last confirmed reservation have to be paid. *The above room rates are inclusive of 15% service charge and tax. Single room rate is inclusive of one daily breakfast, the additional daily breakfast is CNY 217 net per person per meal and will be paid to hotel directly. Pangu 7 Star Hotel is China’s newest icon and the latest masterpiece of world- renowned architect C.Y. Lee, the man behind Taipei 101, the world’s second tallest building. Located near the Water Cube, the hotel is featuring breathtaking views of Beijing’s Olympic Park. Room rates are inclusive of in-room non-alcoholic drinks, broadband and wireless Internet access and local phone calls. Notification to CITS Head Office in writing between 1 June 2012 and 15 July 2012, no penalty charge will be applied to any reduced room night while a penalty charge of one night room rate will be applied to any cancellation. Notification to CITS Head Office in writing after 15 July 2012, a penalty charge of one night room rate will be applied to any reduced room night while a penalty charge of 50% of full room rates based on the last confirmed reservation is applied to any cancellation. If no show, 50% of full room rates based on the last confirmed reservation will be charged. *The above room rates are inclusive of 15% service charge and tax. Single room rate is inclusive of one daily breakfast; the additional daily breakfast is CNY 150 net per person per meal and will be paid to hotel directly. 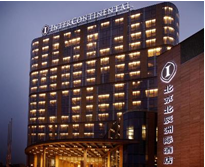 Conveniently interconnected with China National Convention Center (CNCC), Intercontinental Beijing Beichen Hotel is an outstanding deluxe hotel showcasing a brilliant design and excellent service. 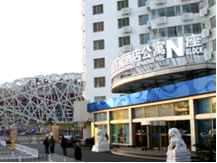 Opened in 2008, the hotel is situated in Beijing Asian Games/ Olympic Games Area with an easy walking distance to National Aquatics Center (Water Cube), and the National Stadium (Bird’s Nest). Set within spacious landscaped gardens, Crowne Plaza Beijing Parkview Wuzhou is enjoys a comfortable walking distance to China National Convention Center (CNCC), and the Olympic Green. The hotel well-appointed guestrooms feature luxurious furnishings and international-standard amenities with spacious room size of 32-square-metre. Business-friendly features include data ports, high-speed internet access, voice mails and English language newspapers. 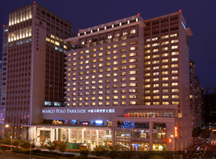 Located in the Yayuncun commercial area of Beijing, the Marco Polo Parkside, Beijing is only a few minutes drive away from China National Convention Center (CNCC), the Olympic Green and the ‘Bird’s nest’ stadium. The famed Marco Polo brand of comfort, elegance and legendary service can be found everywhere in the hotel. Every room comes with free broadband access. 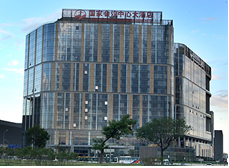 Located in the Olympic Village Area, Grand Skylight CATIC Hotel is managed by Shenzhen Grand Skylight Hotel Management Co. Ltd. It’s only one block away from China National Convention Center (CNCC). The ‘Bird’s nest’ stadium is next to the hotel.. Every room comes with free broadband access. Complimentary newspapers are provided daily. 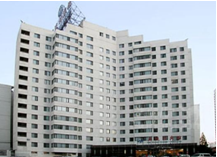 Beijing North Star Continental Grand Hotel is a large four (4) star hotel with 538 elegant and comfortable rooms. 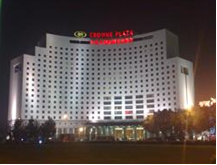 Standing side by side with Crowne Plaza Beijing Parkview Wuzhou, the hotel is within a walking distance to China National Convention Center (CNCC), and the Olympic Green. The guest rooms are equipped with the latest, advanced technology which demonstrates the international quality and hospitality. *The above room rates are inclusive of 15% service charge, tax and two daily breakfasts. 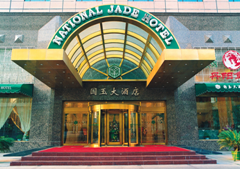 National Jade Hotel is a four-star business Hotel, located in Beijing Asian Games/ Olympic Games Area, just 1.5 kilometer away from China National Convention Center (CNCC), National Aquatics Center (Water Cube), and the National Stadium (Bird’s Nest). 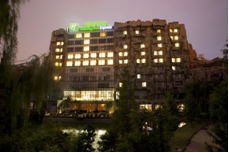 Opened in 2008, Holiday Inn Express Minzuyuan Beijing is situated in Beijing Asian Games/ Olympic Games Area, next to the Chinese Ethnic Culture Park. It’s ideal for business and leisure travelers who want world-class accommodation while staying in the city. Hotel’s complimentary wireless Internet will keep you in touch. 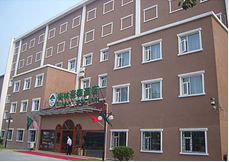 Yayuncun Hotel is located in Beijing Asian Games/ Olympic Games Area The hotel consists of 3 buildings, with different guestrooms. All rooms are equipped with air conditioning, satellite TVs, minibar, telephones and internet port. The hotel has Chinese and western restaurants. For recreation, there is a gymnasium, sauna center and swimming pool. Every room comes with free broadband access. *The above room rates are inclusive of 15% service charge and tax. 1-bedroom Apartment rate is inclusive of two daily breakfasts; 2-bedroom Apartment rate is inclusive of three daily breakfasts. Located in Beijing Asian Games/ Olympic Games Area, Huiyuan Apartment Media Village is one of the Beijing 2008 Olympic Games’ Media Villages and is the closest one to main venues in Olympic Games history. It consists of several apartment buildings with 1-bedroom and 2-bedroom apartments. All round hotel service is provided. Kind reminder: Chinese breakfast only; No English-speaking hotel staff. 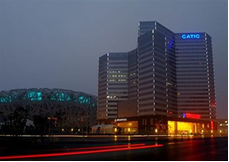 Green Tree Inn (Beijing Anzhen National Stadium), opened in 2007, is one of the Green Tree Inn hotels in Beijing. It enjoy a very decent location with only 5 minutes walk to Subway Station of Line 8 and 10 minutes taxi drive to CNCC, High-speed wireless Internet access is complimentary in the hotel. 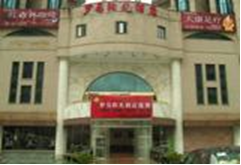 Yungang Hotel is a local business hotel with decent locations. Just at Jianxiang Bridge area near the North 4th Ring Road. it’s only 3 km and 1 subway stop away from CNCC. Opened in 2005 and renovated in 2011, the hotel features clean and comfortable guest rooms. 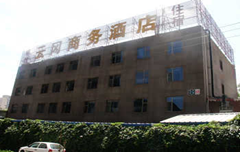 The B&B Inn (Shaoyaoju), opened in 2008, is one of the B&B hotels in Beijing. It’s situated just 5 kilometers from CNCC. It’s about a 10-15 minutes walk from the Shaoyaoju subway station of Subway Line 10. Hotel facilities on offer include conference rooms, a restaurant, a shop and a parking lot. Beijing Roma Sunshine Hotel is a local business hotel with very decent location. 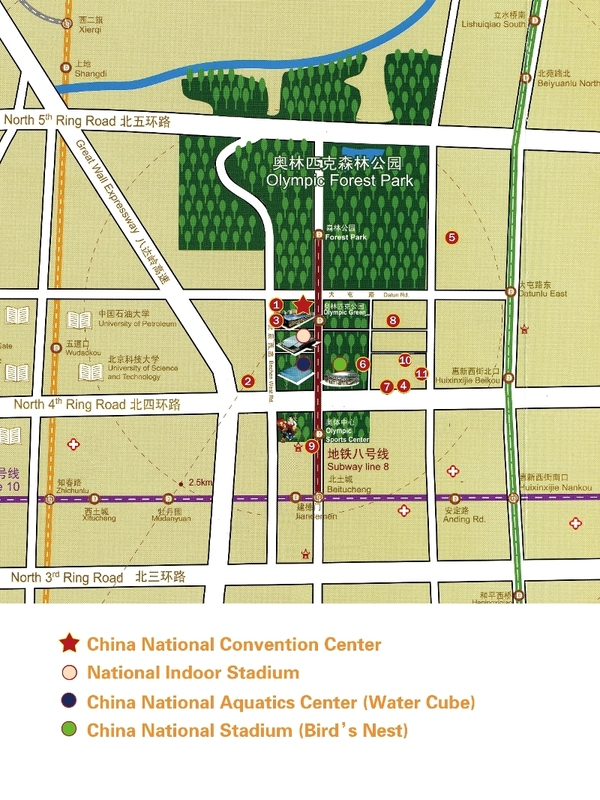 The North 4th ring road and subway station of Line 5 is only 200 meters away from the hotel. Each room is equipped with free broadband internet access, satellite TV, IDD, separate bathroom, 24-hr hot water shower and air conditioning.